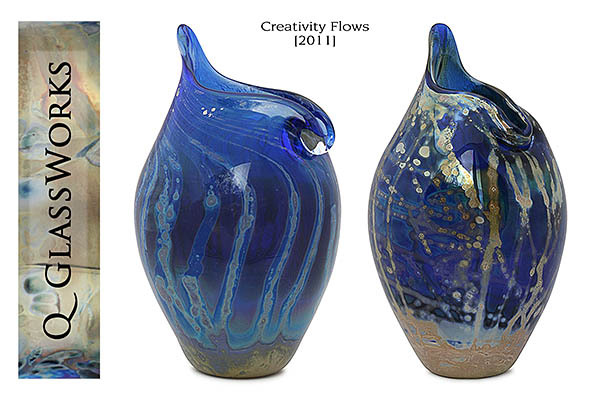 Gay Wyn has created a new line of hand-blown glass pieces that she calls her 'Creativity Flows' series. This series was designed specifically for the 2011 Governor’s Leadership in the Arts awards ceremony. We have new additions to the Silver Strike series. Please check out the silver horizon flasks and the silver-spray flasks on the Silver Strike page.